Orders for boats over 24 metres in length have totalled 601 units world-wide during the course of the present year. Italy tops market share with 260 orders against 85 to the United States, 55 to England and 52 to Holland, thus capturing 38% of the international market and consolidating her position as leader in this sector at least in terms of numbers built. Looking more closely at the figures provided by UCINA (Nautical Industry Shipbuilders' and Shipyards' National Union - Editor's Note) during the Italian nautical convention known as Satec 2006, one will notice the considerable inroads made by Taiwan's production capabilities into the Superyacht market where it has been present for some time but that now totals 37 orders in the year. Even more surprising are China's order figures that, despite their only recent involvement in this market, already number 36 in the year. 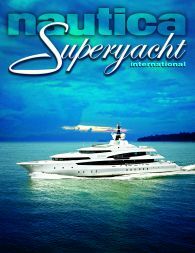 Surprises don't end there however, because upon visiting Russia's MIB annual Boat Show in Moscow in April of this year, we were able to ascertain a great increase in the development of Superyacht shipyards specifically turning to large steel hulled vessels. Russia in fact, by deciding to exploit the know how acquired as metal ship producers for the navy in the past, is following in Poland's footsteps, who before her, converted to recreational ship construction, by working closely for, and on account of the Dutch shipbuilding industry thus projecting itself to the top of the market. All in all therefore, Italy certainly maintains its dominance in the Superyacht market but in the future, it will need to keep a close tab not only on the traditional western competitors but also on all the emerging countries, which, cheap and competitive labour aside, can offer infrastructures and know how to build good ships. The newly appointed President of UCINA Mr. Anton Francesco Albertoni stated during the Satec convention that after the introduction of the new Rules governing the Superyacht's market which gave our shipbuilding industry an added thrust in that sector, UCINA would tackle the crippling bureaucracy making entries to the special Superyacht Register particularly difficult and preventing registration in the first place. He said this was extremely important to make the Made in Italy brand even more desirable. Other figures provided by Frazer Yacht , one of the largest companies operating in the Charters business worldwide, certainly offer more food for thought. We in fact learned during a talk at the Satec convention on Nautical Tourism, that there are 858 boats over 24 metres long being used for Charter purposes in the world. 230 of these, are boats measuring between 24 and 30 metres, 338 are between 30 and 40 metres, 180 are between the 40 and 50 mark, 70 are between 50 and 60 metres whereas 40 go over this threshold. The above numbers would suggest a marked preference for the "smaller" boats rather than for the larger ones, but if one were to analyze the business generated by all these recreational ships, the reverse would be true : the income turnover estimates in dollars for the 24 to 30 metre class don't reach one hundred million, between 30 and 40 we get nearer 200, between 40 and 50 we hit the 370 million mark, between 50 and 60 metres we levitate above 300 million and for the remaining forty ships over 60 metres in length the level goes over 350 million. This data plainly also confirms therefore, how the Superyacht market of larger size is becoming all the more interesting for both constructor and owners alike. The funds generated through chartering are certainly not going to be considered a source of income by the Owners but they will help to make maintenance of the "asset boat" less prohibitive.